Please join us this Sunday, for a very special celebration of Alice Coltrane Turiyasangitananda. The day will feature Alice’s sister Marilyn and her nephew Flying Lotus, original members of Alice's Sai Anantam Ashram singers, Brandee Younger on harp, Georgia Anne Muldrow and a string section arranged by Miguel Atwood-Ferguson. 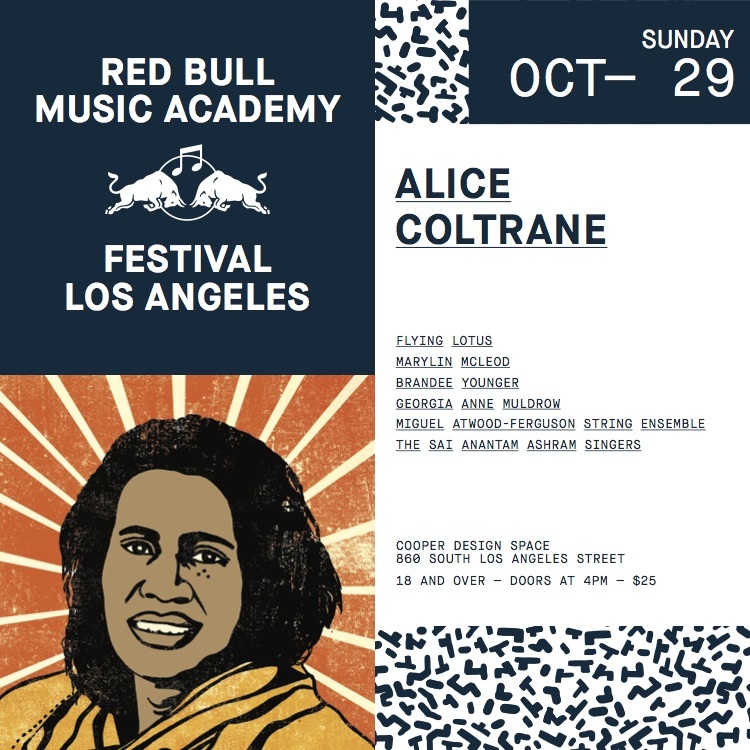 Sunday’s tribute is the closing event of this year’s Red Bull Music Academy Festival Los Angeles, and curated with Michelle Coltrane and Luaka Bop. With this event -- as with the celebration in New York this spring -- we hope to share the positivity, warmth and hopefulness embodied by Alice’s community.